A waking dream of a novel, Hold is spellbinding, sensual and unsettling. Three years ago, Shelley’s lover, Conrad, died in a surfing accident. Now, still in a state of subdued grief, Shelley has just moved into an old Victorian terrace in Paddington with David, her new partner, trying for a new beginning. At home one morning, Shelley discovers a door to a small intriguing room, which is not on the plans. There is a window, a fireplace and a beautiful chandelier. But nothing else. When Shelley meets a man who seems to be Conrad’s uncanny double, the mysterious room begins to dominate her world, becoming a focus for her secret fantasies and fears, offering an escape which also threatens to become a trap. 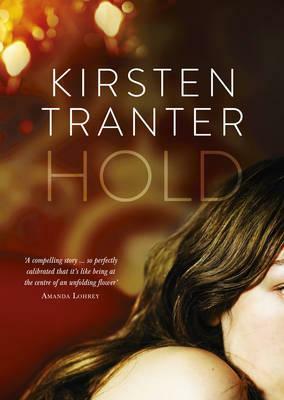 A waking dream of a novel, Hold is spellbinding, sensual and unsettling. Kirsten Tranter grew up in Sydney and studied at the University of Sydney. She now lives in the San Francisco Bay Area. Kirsten’s first novel, The Legacy, was published to international critical acclaim in 2010. It was selected as a Kirkus Reviews Best Debut Novel of the year and was shortlisted for the ABIA Literary Fiction award, the ALS Gold Medal, the Indie Debut Fiction award, and longlisted for the Miles Franklin award. Her second novel, A Common Loss, was released in 2012. Kirsten’s novels have been translated into Spanish, Chinese, and Polish. 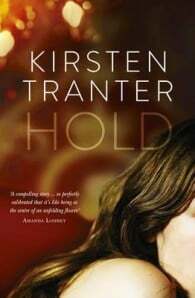 About the Author Kirsten Tranter grew up in Sydney and studied at the University of Sydney. She now lives in the San Francisco Bay Area. Kirsten’s first novel, The Legacy, was published to international critical acclaim in 2010. It was selected as a Kirkus Reviews Best Debut Novel of the year and was shortlisted for the ABIA Literary Fiction award, the ALS Gold Medal, the Indie Debut Fiction award, and longlisted for the Miles Franklin award. Her second novel, A Common Loss, was released in 2012. Kirsten’s novels have been translated into Spanish, Chinese, and Polish.